The Web is the platform for game development and we’ll be showing it in action at this year’s Game Developer Conference in San Francisco. Powerful new capabilities continue to emerge and gain mindshare with developers and gamers alike as the open Web games stack reaches ubiquity. Technologies pioneered by Mozilla, such as WebGL, WebVR and asm.js are all gaining momentum. Today, WebAssembly, the next evolution of asm.js, is available as an experiment for testing in Firefox Nightly. Launching this week at GDC, Open Web Games is a site for developers and browser makers to demonstrate modern Web game technologies, stress-test browser implementations and collaborate on maintaining the stability and evolution of the Web games stack over time using a variety of real-world games and demos. Next generation Web technologies such as WebGL 2, SIMD.js and Shared Array Buffer are also now available for anyone to explore in Firefox Nightly. To advance WebVR, Mozilla recently announced version 1.0 of the WebVR API proposal. Mozilla is investing in helping developers move titles based on plugins to Web technologies through the Mozilla Developer Network (MDN) and direct engineering support. Unity, one of the largest and best-regarded game engines in the industry, showed that the Web stack is ready for prime time by removing the ‘Preview’ label from their amazing WebGL exporter which takes advantage of WebGL and asm.js. Autodesk, a leader in 3D design and animation tools, is showing a tech preview of Web export support with its Stingray game engine. Indy mobile developers like EVERYDAYiPLAY are expanding their revenue streams by building for the Web with games like Heroes of Paragon. 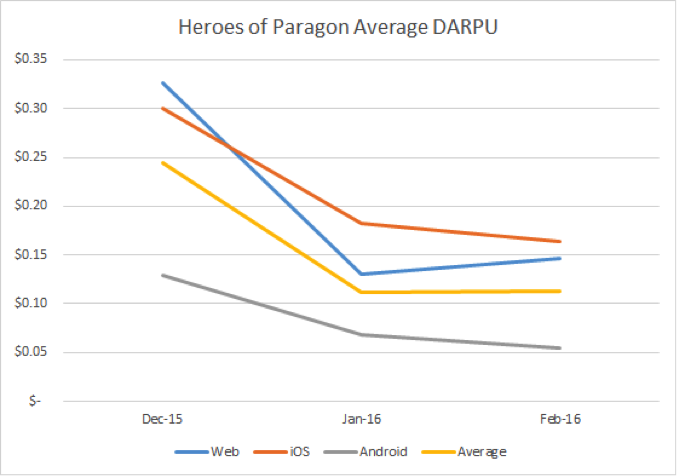 They report Daily Average Revenue per User (DARPU) numbers that are much better for the Web version of their game than the Android Play store and are very competitive, relative to iOS. Major browsers have adopted more of the key APIs needed to enable the next generation of Web games. The industry’s top brands are coming out with growing support for the Web, making it easier than ever for developers to create for and succeed on the Web platform. If you’re at GDC, come see us at booth 936 on the Lower Level of the South Hall. If you’re a member of the press and have a question, please email press@mozilla.com and we’ll help you out. To learn more about what Mozilla is doing at GDC, read articles from developers or learn how to get involved, please visit games.mozilla.org.